Heat the oil to 375°F in a large heavy-bottomed pot, and preheat the oven to 225°F. Fry the potatoes in oil until golden brown, about 10 minutes. Remove with slotted spoon and sprinkle with salt if desired. Keep warm in preheated oven while you fry the fish. 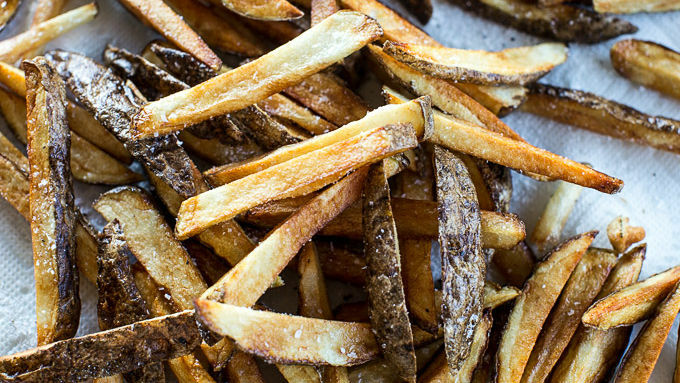 While potatoes are frying, prepare the batter. In a medium-mixing bowl, combine self-rising flour, herbs and beer until a batter forms. Pat the fish dry and season on both sides with salt and pepper and then coat the fish in the beer batter. Next, carefully lower the fish into the hot oil. Fry the fish, turning over frequently, until deep golden and cooked through, about 4 to 5 minutes. Transfer to a paper towel-lined sheet to drain, then to a baking sheet to keep warm in the oven. Fry the remaining fish. Serve the fish and the chips with tarter sauce on the side, if desired. Use different herbs or seasoning blends to make this meal a little different and fun every time you make it! Make your own fish and chips? Yes you can! 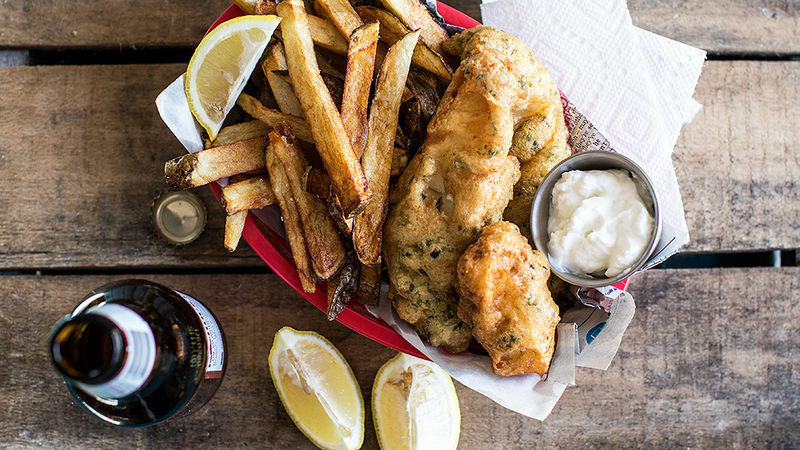 It's about time for a good fish and chips recipe! You know, one that’s super quick and easy, but also full of flavor. Yes, it’s only mid-spring, but I clearly already have summer eats on my mind. I know you're thinking, "Seriously?" But don’t lie, you do too. Hey, before we know it, May will be coming to an end, Memorial Day will be upon us, and you’ll be running around looking for your favorite summer recipes. So why not start piling them up now? To me, summer food is always good food, no matter what time of year! I wanted to show you just how easy it is to make real-deal fish and chips – any night of the week. I'm talking 30 minutes and done. Oh, and the batter you're going to be frying your fish in? 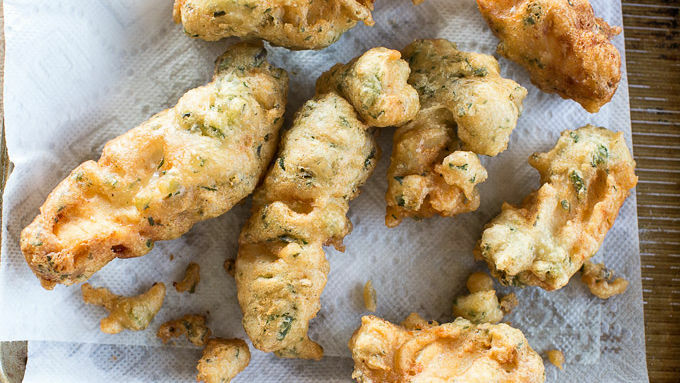 It's oh-so special – an herbed beer batter that couldn't be better. 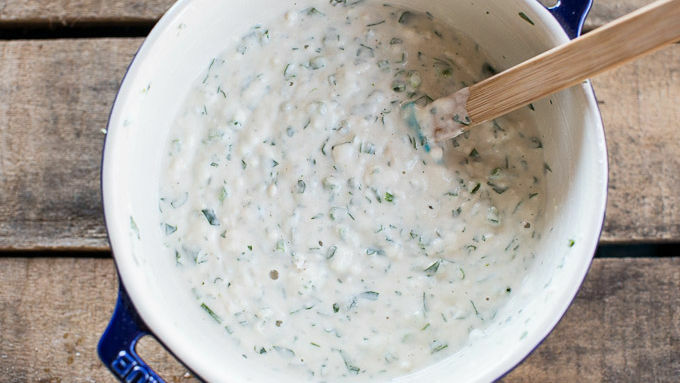 The herb addition makes this recipe fresher and brighter! Serve the fish alongside the chips and tarter sauce. Add some lemon and a beer and you've got a flavor-filled meal! Use different herbs or seasoning blends to make this meal a little different and fun every time you make it!